Since everything is becoming increasingly digital, individuals and businesses are looking for online marketing systems to increase their reach. However, online marketing is not an easy job, especially if you are a young internet marketer and new to the system. Whether you are still young in internet marketing or a fresh business owner, running your online marketing race can be very confusing. When you are new to online marketing, you will found it easy to make mistakes, and these mistakes can affect your business. Picking the wrong strategies and implementing them incorrectly can destroy your business. To avoid these mistakes and attain success, you should strive to master the profession. Here is a list of common mistakes that young internet marketers do make. Do you make one of these? Spending a lot of money on the internet is not always necessary when intending to run a profitable business. It can be exciting to see what the power and potential of online marketing hold for your business and therefore tempts you to spend a lot of money in the beginning. However, it is important to note that the success of your marketing campaign and progress do not increase when you increase your marketing budget. There is no relationship between the two whatsoever. The best approach would be to learn more about your strengths, weaknesses, loopholes, and opportunities on the market. Stay informed and up to date with industry trends and marketing strategies of your competitors through tedious research and analysis. It is best to be prepared first, so you do not engage in marketing strategies that do not produce results. If you are not careful as a young internet marketer, the vast amount of information can be overwhelming and a bit daunting. Take every piece of information from one piece at a time. Set a goal to read or listen to something new once a week and focus on the keep the goal. If the amount of information is apparently too much for you to handle, take a break, take a step back and refresh your brain. Procrastination is the act of doing less critical assignments in preference to more pressing ones or accomplishing more pleasurable things in place of less pleasurable ones, and in this manner putting off impending tasks to a later time. This returns to defining clear and compact goals for yourself as an internet marketer. Pen down your short and long-term goes alongside how you plan to keep them. For God’s sake, seek help! This is very similar to driving around a city where you have never been, getting lost and refusing to ask for the necessary directions. That is just stupid. An experienced and qualified mentor helps you to escape these and many more newbie pitfalls even before they happen. Shyness simply does not work in this internet marketing. Reach out to others on forums and blogs for more information, attend and donai??i? ?t fail to network! Connect yourself with your cause. This also comes back to setting clear and concise goals for yourself. If you want to be successful in the internet marketing field, you have to consider it as an executable choice, not just as an option. Would you try to sell garlic to a vampire? No of course not. Why would you want to use untargeted traffic to make people buy something that they are simply not interested in? Strategize your target market and see those sales figures fly off the charts. Can you make money with internet marketing? Yes! But will this income simply fall on your table overnight? Not really! Like the majority of life, it takes time, effort and yes … that annoying word: work! But do not worry; you can also possess that shiny new sports car, just like your mentor. Majority of the tools and resources available to internet marketers are cheap or free. The fact is that many new marketers are tempted to use them at once in their entirety. Successful internet marketers start with a strategy that encourages the goals of their campaign, the target audience, and other important planning elements. Only then do they pick their tactics. Note that: tactics without strategy is the sound of defeat. Internet marketing has reduced the costs of publishing your thoughts and ideas to the masses to almost nothing. As a result of this, some internet marketers (both young and experienced) launch a blog, website or presence on social media without first listening to their audience. What questions do your potential and ideal customer have? What are the problems you can solve for them? Do your homework with one of the many online listening tools, and only then you should share your message. Not knowing the ideal audience is a common mistake for young internet marketers. How can you a person fall in love with your offer if you do not know who they are? Take real time to find out what your ideal customer or target group looks like. Tools and Resources such as Google’s Ad Planner and AdCenter Labs from Microsoft can aid you to better understand the demographics and psychographics of your ideal audience. Would you spend cash to build a house on the land you rented? Of course not. The same should be considered with your efforts in the field of internet marketing. Do not depend on your Facebook page or free website hosting packages to sustain your marketing efforts. Portraying your brand, there should be a website, which is hosted on a domain name owned by you. Things change rapidly on the internet. Do not jeopardize your entire online marketing strategy by investing in resources that you do not own. Internet marketing gives you the power to test your ideas. Why stick to one approach when you can constantly try out new ideas and see how they are performing? Despite best methods, research and even focus groups, you will never know for sure unless you test these ideas. User tests and conversion optimization are two perfect examples of the tests that you could perform to prove what works best for your customers. Stop guess-working, start running tests. Internet marketing has brought an unparalleled level of measurement into marketing endeavors. Web analytics tools like Google Analytics can tell you how many people visit your website, how they got there and what they did to push your marketing campaign. Ignore your web analytics at your own risk. With mass media, you can still reach the largest audience, but television and radio often fail to connect marketers with the most relevant target markets. Take the time to explore who are the big names and important influences on social media for your specific area of interest and niche. Creating and maintaining relationships with these people can have a dramatic impact on your internet marketing endeavors because they can ultimately send you new leads and customers for a price (your time) that is much more cost-effective than advertising. Endeavour to reward your customers. You should offer discounts and promotions to encourage buying and attract people to your offers and website. Offering discounts increase traffic to your store and web page. Advertise your sales plainly. Note that: promotions can also usually help you increase sales. Most young internet marketers think of Facebook and Twitter when they hear the words social media. But have you ever thought of YouTube? Your offers also need a YouTube page. You can also use the videos from your YouTube channel on other digital marketing platforms. Facebook videos are available as well. Even on Instagram, you can post videos that are 1 minute long to market your stuff. How much money do you spend on internet marketing? What kind of return do you get? Do not blindly waste money on internet marketing without measuring the ROI. If you do not measure the ROI, you wouldnai??i? ?t know how successful your strategy was. Failed campaigns could burn a hole in your pocket if you continue repeating them. Slow websites generate big problems for your business. You spend all this time, money and effort to make people get to your website – just to push them away when it’s too slow. People are often impatient. It is the nature of the internet. Customers will leave your website if it takes too long to load. 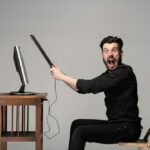 Do not let your loading time kill your internet marketing efforts. If you need to spend more money to ensure your web hosting service is as fast as possible, do it. Every second count, and you cannot afford to lose more audience and customers. If you are not satisfied with your current web host, you can look around and find another one. This should be a top priority for your business. Looking at your website reports and seeing the number of visitors that continues to grow. This is great news for you! You have three times the amount of traffic from the previous month, but your sales figures are stagnant. What is the problem? Your web traffic has not been converted into revenue. How do you fix this? Strive to make your website easy to navigate. 90% of your website visitors abandon your page because they cannot get what they are looking for. If you have some confusing layout, visitors to your website will be frustrated. For those marketers with an e-commerce page, make sure there are sufficient search options and filters so that users can quickly find what they want and purchase. The consumer does not want to scroll and search for long. They want results quickly. How quick? So quick that they do not even need to make use of a computer. If you sign up for a forum or obtain an Internet Marketing course, you will find action steps to implement what you have learned. If you are like most people, you probably went through the action plan one time and then forget it or just follow it carelessly. However, if you are serious about substituting your job with a passive income from the internet, you must follow the action plans that have been set out for you, step by step. Remember that if people are already making money with it, you can do that too. If you’re smart, just duplicate what successful people are doing make money. Someone already had an action plan that worked, work on it as well. Stop over-analyzing and start duplicating with the right strategies. But beware; some so-called gurus make it sound that simple. I can tell you it’s a lie. There is no such miracle as getting rich overnight. Copywriting is the art of inducing a “most desired response” through properly crafted writings. Many people do not realize this, but good copywriting uses principles of both psychology and marketing. If you want to have a high visitor and activity ratio – whether that action is buying your product or subscribing to your list – you should review your copy to the point where it is most effective. This usually requires multiple revisions – and you always have to integrate principles of copywriting. Many newcomers have misled themselves into making a sales page with few conversions and then spending hundreds of dollars to promote them. Just think of the difference between a conversion rate of 1% and a conversion rate of 2%; that is twice as much turnover – and could easily be the difference between laudable success and miserable failures. Of course, if you are too busy learning how to apply the principles of copywriting, you can always choose the alternative route, namely paying a copywriter to do the work for you; however, if you look at the average price of a relatively good copywriter (which is almost always in the thousands), you might be convinced to do something different. This dangerous habit leads to more failures and bankruptcies than most other bad decisions about independent entrepreneurship. Instead of working on an effective business model, most young internet marketers will constantly be drawn in different directions through the latest product releases. For example, a course will say that selling physical products is the best way to make money. Another program will show how blogging and the use of affiliate programs is a goldmine. And yet another report says that AdSense and of course search engine traffic is the only profitable business model. Which of these is good? For the young internet marketer, each of them is right… and each of them fails because the newbie buys all three and eventually moves in three different, non-advantageous directions. In this case, the traffic you receive is fake; it is an almost always complete mess. The people who are redirected to your site are sent there by a vague pop-under that they always close before your site is even loaded. Whatever form of guaranteed traffic you buy, they all have one similarity: they do not produce any profitable results at all. You will never earn a penny with these programs, so do not even bother considering them. 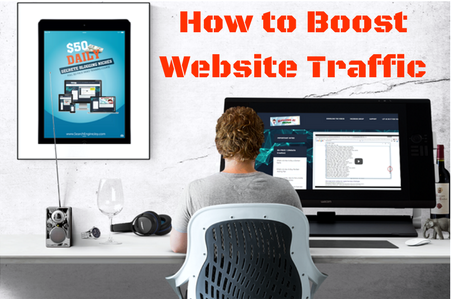 The only way to receive traffic is to use normal methods to guarantee you targeted traffic of people. These are social media marketing, article marketing, search engine marketing, paid advertising on promising blogs and much more. Even with the best plan and the biggest blueprint in hand … Internet marketing success will still dodge you… if you are not disciplined. Many young internet marketers lack the discipline to run a business online. They become entangled in all distractions that are part of the online world. These are just a few common mistakes made by young marketers; some experienced marketers are not left out as well. And although it is important to avoid mistakes wherever possible, the industry simply evolves too quickly to prevent errors. New internet marketers need to be aware of the mistakes they can avoid and embrace those that can be turned into opportunities for growth and learning. Is AltCoinsArmy.com a Huge competitor to CoinMarketCap? 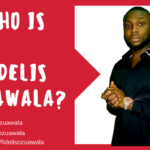 Who is Fidelis Ozuawala and What Does he do?